Create linear streams with a scheduled program! Simply drag and drop your uploaded on-demand files into a schedule-grid to assign a specific start time to each video, create ad-breaks, schedule ad playback or allow our intelligent engine to fill up your ad-breaks with your own pre-defined video-ads from your ad-pool. Assign this task to anyone on your team. There is absolutely no technical knowledge required to use our intuitive, drag-and-drop 24/7 scheduler to create a scheduled linear stream. Now you’re absolutely everywhere: on all digital platforms and devices, as well as on cable and satellite TV. 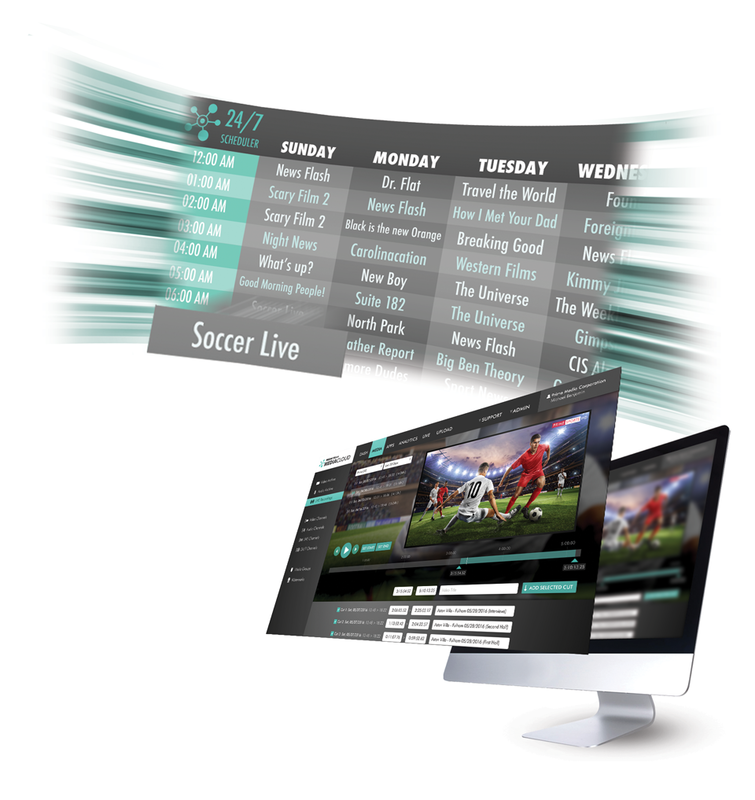 It goes without saying that your linear stream will be integrated on all of your web apps, web players, mobile apps, social apps and OTT/ConnectedTV apps as well. Want to ingest your linear stream into cable or link it up to a satellite? No problem. We’ve got you covered. Whether you already have an existing uplink station or want to utilize our partnership service with the more reliable and recommended cable and satellite uplink services – we will pass on your linear feed to the outlets of your choice.